Affordable Door provides professional garage door repair and replacement services throughout Northern Virginia, D.C., and Maryland areas. We are locally owned and operated and take pride in offering quality garage door sales and services. 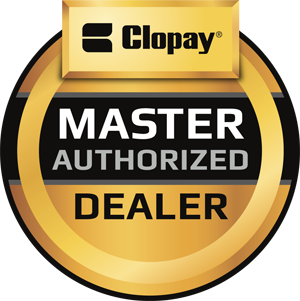 As an authorized Clopay dealer, we proudly offer a variety of door types from America’s Leading Garage door manufacturer. We also specialize in the service of all types of doors. That includes replacement and repair of broken springs, broken cables, and openers. As an Authorized Liftmaster Dealer, we install the new Elite 8550 with battery back-up and smartphone compatibility. At Affordable Door in West Springfield VA, we sell top tier in garage door products so you can rest assured that you are receiving high quality doors-not to mention high quality service! Our job is to not only offer you the best make in products but to also deliver exceptional service in garage door installation. 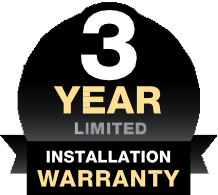 We work with leading manufacturers so you receive the best value in your garage door installation. A proper working garage door is essentially your home’s safe haven of security. If your garage door is broken or not acting right, give Affordable Door in West Springfield VA a call to help you out. We specialize in residential garage doors, bringing you the very finest quality parts and installation services. Our technicians are professionally trained in the installation and repair of overhead garage doors. Affordable Door can fix, replace or upgrade any garage door, door motor, springs, parts or remote opener. We offer top quality replacement garage door springs, brackets, hinges and cable parts. For all of your garage door repair and service needs Affordable Door is just a call or click away. On the equipment side, we stock quality Liftmaster and Genie garage door motors and openers. Our expert technicians will thoroughly inspect your door components and help you choose the right one for equipment for your needs. Our goal is to return your garage to safe working order with as little downtime as possible. In most cases, we can take care of installation of motors, springs and rollers the same day! There will come a time when you will not only renovate the inside of your house, but the outside as well. Garage doors are usually one of the first things to be changed when it comes to your home’s exterior. However, when you replace a garage door, you aren’t just modifying certain parts, you are replacing EVERYTHING. It’s also important not to mix and match old and new tracks, hardware, and springs as they may end up not supporting each other. So when you replace your entire garage door as well as its operating parts, it will ensure top function, security, and quality. Affordable Door in West Springfield VA offers a wide range of garage door openers for residential and commercial purposes. We also offer LiftMaster garage door accessories so you can optimize convenience and security in your garage door function. These openers will increase security as well as time and convenience when it comes to managing your garage doors. Efficiency and custom functionality are what we are dedicated to helping you achieve when you purchase from Affordable Door in West Springfield VA! We don’t only sell and replace garage doors, but entry doors as well! Enhance your home’s security as well as curb appeal with our wide variety of entry door systems. Improve your home’s appearance with a new entry door from Affordable Door! Choose the right front door look when you choose from several of our different door models. 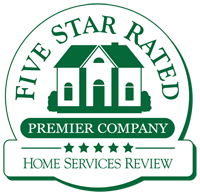 So along with that garage door service, you can inquire about our front door replacement as well! Our varieties range from Arbor Grove Doors to Rustic Fiberglass and Steel Entry Doors. Look no further than your one-stop-shop at Affordable Door in West Springfield VA. We service all your garage door needs as well as entry way doors. 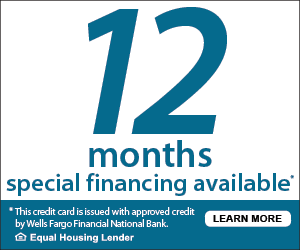 Call us today at 703-912-3667.